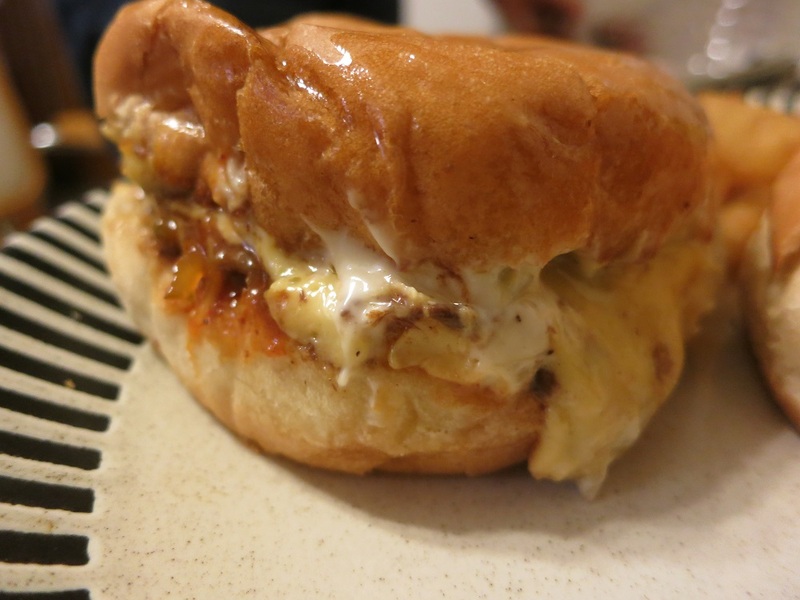 Long before Shake Shack debuted on the New York Stock Exchange or people began smashing their burgers, I had been on a quest to find the best fast-food cheeseburger. For the longest time, that meant visiting the usual chains—plus any regional ones I came across. (For example, In-N-Out Burger in California, Whataburger in Texas, and Hardee’s in the south/truck stops). 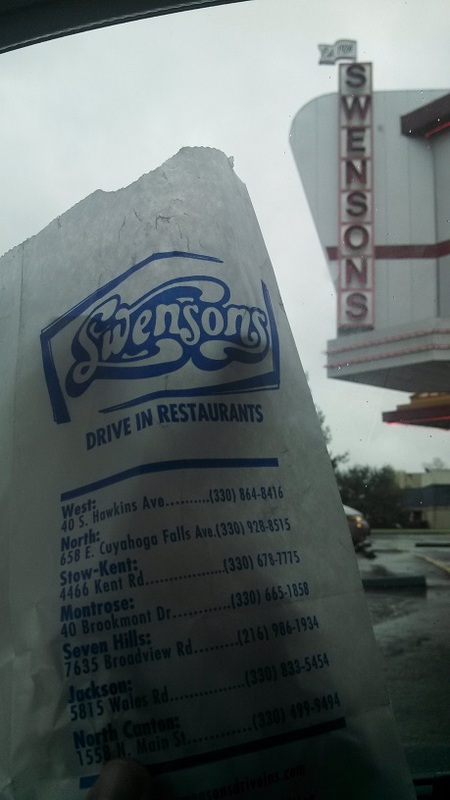 So when I heard transplants from NE Ohio tell tales of Swenson’s a small chain of drive-in restaurants that had the best cheeseburgers bar none, I had to visit. The first time I visited Swenson’s I have to admit: I was a bit confused. It’s a drive-in, as I mentioned. And drive-ins just aren’t that common these days. So, when I pulled into the parking lot of the location on the Stow/Kent border for the first time, I didn’t really know what to do. The sign said “lights on for service” so that’s what I did, and in short order, someone came sprinting over to my car to take my order. There was no visible menu from where I was parked, and on that first visit I didn’t realize I only had to ask and one would be promptly presented to me. A Galley Boy, complete with olive garnish. Honestly, I didn’t need one that first time however; I knew what I was going to get. 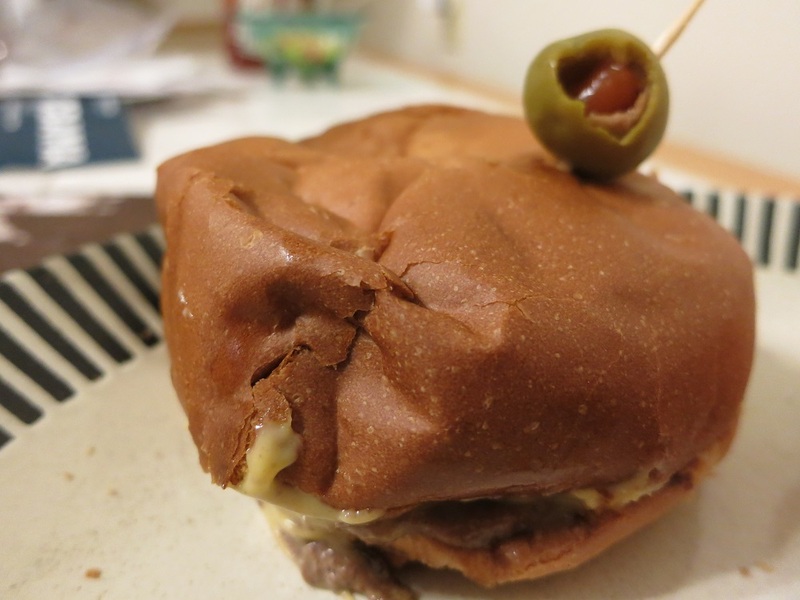 Swenson’s signature burger is the Galley Boy. It’s a double cheeseburger with two “special sauces.” The best description of each sauce is BBQ and a form of tartar sauce. It’s served garnished with an olive on a toothpick. My rule of thumb is to always order a signature dish the first time I visit a restaurant. So add one Galley Boy. 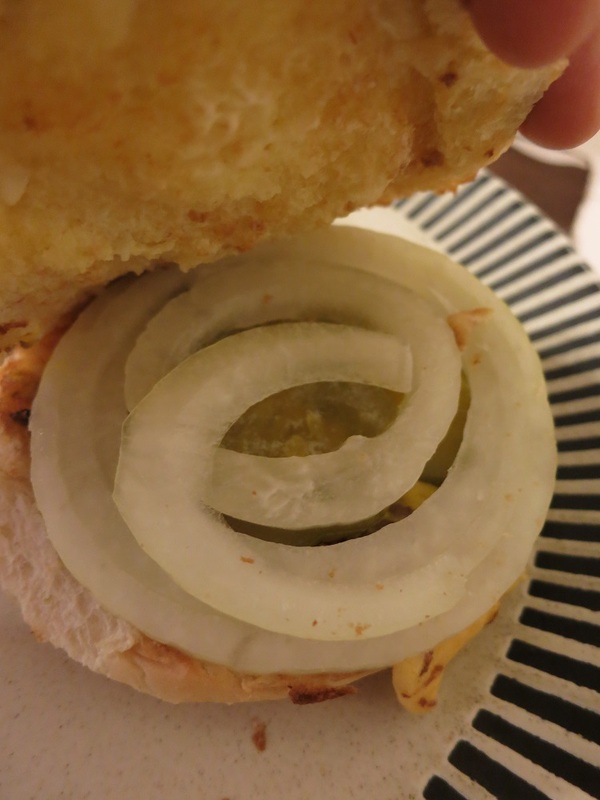 Next, I love onion rings—check. And chocolate malts. Swenson’s is know for their shakes, so add one chocolate malt and done! No surprise, everything was amazing. A close-up of the Galley Boy sauces. They might LOOK like raw onions in this photo. But I swear they’re not. The other menu items are equally praise worthy. The acclaim that their shakes receive is well deserved. And the selection of sides similarly shines. Fries of course, and the aforementioned onion rings, which were terrific. They also have “potato puffs” and the awesome “potato teezers,” which they describe as a “tasty potato, cheese, and jalapeno combo.” I can’t really describe them that well but, rest assured, they are delicious. 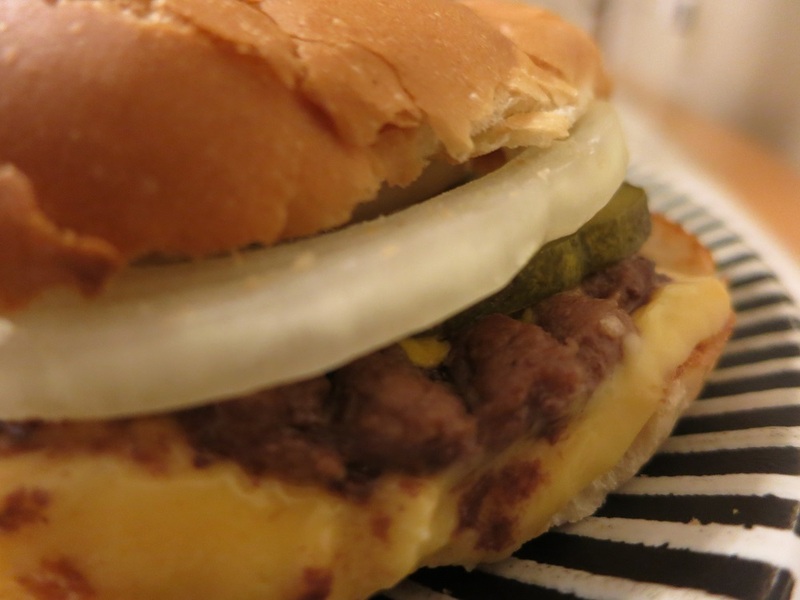 A blurry photograph of a regular cheeseburger. It’s tasty in focus or out. We need them to open one here in Savannah Georgia, it would be such a success, there are a lot of Ohio transplants. There are NO good burger places and restaurants rule here. I’m an Akron to Savannah transplant and I couldn’t agree more! Swenson’s needs to stay in Akron. What makes it unique; is the two hour drive to get one of their burgers(with extra butter). 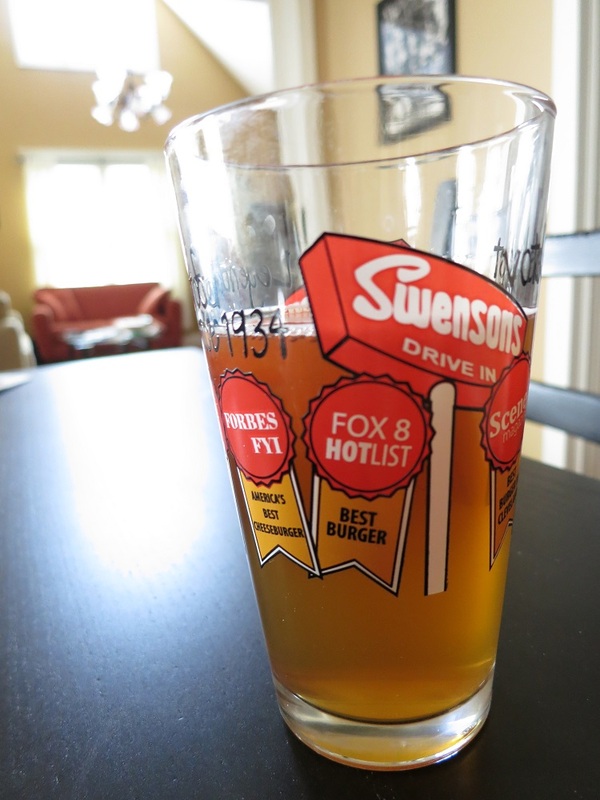 I live in Columbus but was raised in Akron but still love to make the trip to savor Swenson’s. Swensons has the best food. I always get my potato teasers or fries with ‘cajun’ on them. It’s the best way!